2 Comments on Orienteering, Inspired by London 2012? Orienteering is not an Olympic sport, it is however a grassroots activity which just happens to have a number of venues (some existing, some potential) close to the site of the 2012 London Olympics. As such, the sport of orienteering could benefit from any increase in interest in sports in this part of east London, caused by the approaching Games. Hackney Marshes and Mabley Green. A very large (400 acre) venue, although not particularly interesting – essentially football pitches as far as the eye can see. However, there is enough of interest for a local event, particularly if the two parks on the west side of the Lee Navigation are included. A hidden gem just in the south part is Wick Woodland, a proper, dense wood with a maze of paths. Sadly, the Waterworks Nature Reserve, just to the north of the marked area, is likely to be out-of-bounds. I believe LOK have an old black-and-white map of the main part of the marshes, from the eighties. The East Marsh is due to be tarmacked over and turned into a giant car park for the Games themselves. Victoria Park is another large (200 acre) green area, LOK mapped it many years ago and it was used quite regularly for events, up to around 10 years ago. I understand they are about to re-map it and it will hopefully be used for an event next summer. Bow – this area was first used for a Street-O race in September – event results. Queen Mary and Mile End Park was used for a SLOW park race in 2008. The campus area is small but allows for exciting sprint racing, the park is also narrow but has some interesting features. A new bridge across the Regent’s Canal has just opened, which will allow the map to be expanded for a similar race in the future. The Isle of Dogs including Canary Wharf and Limehouse – this is an aspiration, no orienteering map exists yet, and organising a race here would be a huge logistical challenge, but this would make a super area for a city race, possibly in 2011 or 2012. Greenwich Park – DFOK have created an orienteering map of this hilly 180 acre royal park, which is also a venue for the 2012 Olympics. It was used for an event in March, and there will be another one in April 2010. 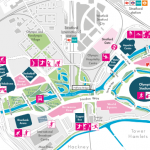 Lea River Park – at the moment, the useable area – Three Mills Green and the House Mill – is possibly too small even for the smallest event, and there is no existing map. However, the surrounding area is due to be developed into various new parks over the next six years, so a map of this area could grow with the developments. West Ham Park – quite small (80 acres), but pleasant, could probably sustain a small summer park race. Not yet mapped for orienteering. Wanstead Flats – a large, but very flat and simple area, unfortunately split up into three sections by two busy roads. Already mapped by CHIG. Wanstead Park – a ruined, historic estate, very dense vegetation in places, but used by CHIG fairly regularly for summer events – would possibly be more suited for winter events due to the extent of the vegetation growth! Regent’s Park (LOK) – not on the map here. Newly mapped by LOK, they are keen to stage an event in this royal park which will also be a venue for the London Olympics. The Olympic Park itself. Much of it will become available to the public, and therefore potentially for orienteering, in summer 2013. 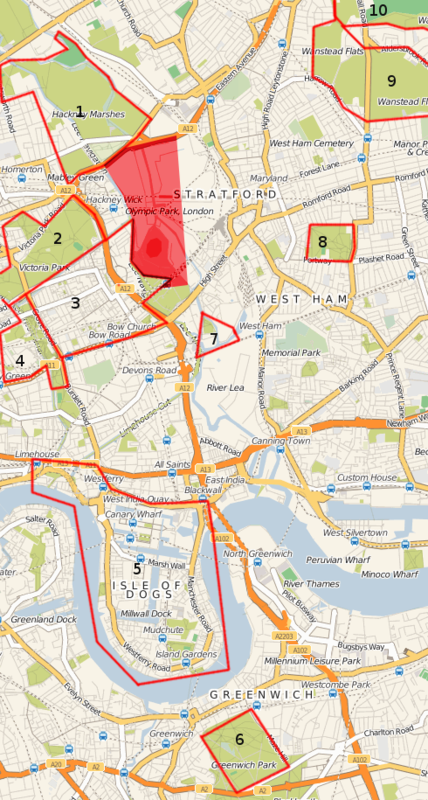 No orienteering club is based in the East End – indeed, London’s four orienteering clubs sort of converge on this point. London OK (LOK) is based around Hampstead and is generally active in London’s north-west quadrant. Chigwell OC (CHIG) is based around Epping Forest in the north-east. Dartford OK (DFOK) generally runs events in the south-east of the capital. Finally, South London OW (SLOW) is mainly based in the south-west, around Wimbledon and Kingston. There are a couple of SLOW maps in the East End – but only because I live there and have created them! This means that a collaboration between the four clubs would make sense, for any London 2012-themed series planned for the future. 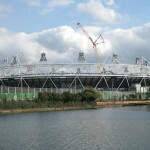 Another Olympic-theme venue is the Lea Valley park where the White Water course is being built. There’s already a permanent O-course there (maps from the YHA in Cheshunt). Terrains pretty simple, but lots of it.